The powder that you get when you grind chick peas or chana dal is called gram flour or besan. 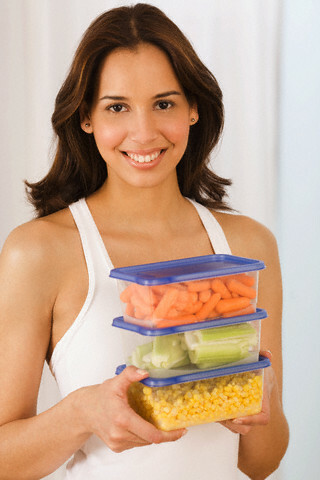 It has a variety of health and beauty benefits. It is an excellent body scrub and helps in exfoliating the skin and making it smooth and soft. It also has many uses for your hair. In this article we will discuss about the skin and hair benefits of gram flour. Besan or gram flour has been used on skin and hair from ages for many reasons. Gram flour or besan is an excellent body scrub and is much better than soaps and body wash, which contain chemicals that are harmful for the skin. Take three teaspoons of besan and mix it with 1 teaspoon of ground oats, 2 teaspoons of corn flour and some raw milk to get a smooth paste. Apply this all over your body and scrub gently. This homemade body scrub is excellent for your skin and helps in removing dead cells and dirt as well as excess sebum produced on the skin. As a result you will get a smooth skin that is clean and radiant. Many of you have oily skin and do not know how to get rid of the excess oil from your skin. Besan is a good remedy for reducing oiliness and getting a fresh and clear skin. Applying a pack of besan provides you instant relief from oily skin. Mix gram flour and yogurt to get a smooth paste and apply this on your face. You can also use raw milk instead of yogurt. Let it remain on your face for 20 minutes. Now wash off with water. This removes excess oil from your face and makes your skin non-greasy and fresh. It is also good for removing makeup residues and dirt from your face. Take 4 teaspoon of besan, half teaspoon of malai and mix them with 1 teaspoon of ground orange peel. Apply this on your face and neck. Now massage gently on your face in circular motions. Keep this face pack on your face for 15 minutes and then wash your face with cool water. Applying this on your face provides instant glow to your face. You will also get smooth and soft skin by applying this regularly. A face mask made of besan and sandalwood powder is great for removing pimples form your face. Take 2 teaspoon of besan, 1 teaspoon of milk, 2 teaspoons of sandalwood powder and a pinch of turmeric powder in a small bowl and mix well to get a smooth paste. Apply this mask on you face and wait for a few minutes, till it gets dried. Now wash your face well with water. If you use this regularly, you can get rid of pimples and have a clear and smooth skin. Besan mixed with lemon is a good home remedy for lightening your complexion. Mix 4 teaspoon besan with 1 teaspoon of lemon and 1 teaspoon of raw milk. Make a smooth paste by mixing them well. Apply this on your face and the neck. Scrub your face with this paste gently in circular motions. After the paste gets dried, wash off with water. Using this regularly can lighten your skin. Most of the women in India have dark arms and neck, as India is a country where you get lots of sunshine. So, getting a tan is very common. Take some besan in a bowl and mix yogurt, lemon juice and a pinch of turmeric with it to get a smooth paste. Apply this on your face, arms and the neck and wait for about 20 minutes. Now wash with cold water. Do this for at least 3 times a week. Massage you arms and neck with sesame oil after you use this pack. If you have a tan and want to remove it, besan is one of the best choices. Take 4 teaspoons of besan, 1 teaspoon of lemon, 1 teaspoon of yogurt and a pinch of turmeric in a bowl and mix them well to get a smooth paste. Apply this on your face and the neck. Wait till it dries and then wash off with water. Apply this paste daily and soon you will get a radiant and smooth skin. People have been using besan to remove unwanted hair from the skin for a long time. For this you have to make a paste by mixing besan and fenugreek powder. Apply this on the face where you have hair. Let it remain till it dries. Now wash it off with water. You can also mix besan with lemon juice, sandalwood powder and malai. Apply this on areas where you have facial hair and wash it off once it gets dried. Using besan on your hair gives you healthy and shiny hair. Mix 2 teaspoon of besan with 1 egg white, 1 teaspoon of curd and half a teaspoon of lemon juice. Apply this hair pack on your scalp and hair. Make sure that you apply it on the tips of hair also. Wash your hair with cool water after this pack dries up. Mix besan, almond powder, 1 teaspoon of olive oil and lemon juice to get a nourishing hair pack. If your hair is dry and damaged, you can add 1 or 2 capsules of vitamin E oil also with this pack. Apply this on your hair and let it dry. Wash with cool water. Apply this twice a week and you will get long and strong hair. 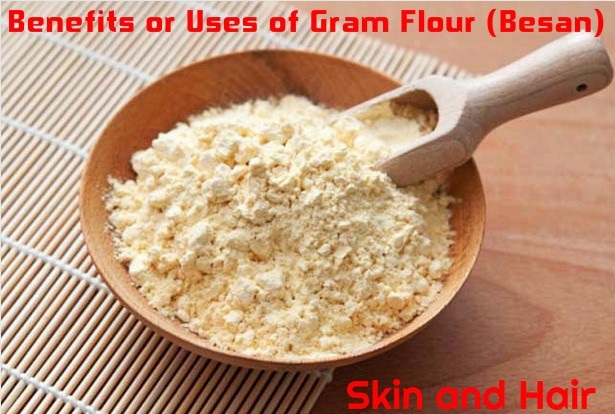 Gram flour or besan is also good for removing body odors, flaky skin, oily skin, acne and get a blemish free skin. You can use a paste made with besan and milk cream on your skin instead of soap.